Local diner institution House of Pies has opened its fourth Houston-area outpost in The Woodlands. Located at 1330 Lake Woodlands Dr., diners can get their fill of classics like the Bayou Goo pie and the chicken fried steak and eggs from 7 am until 11 pm daily. 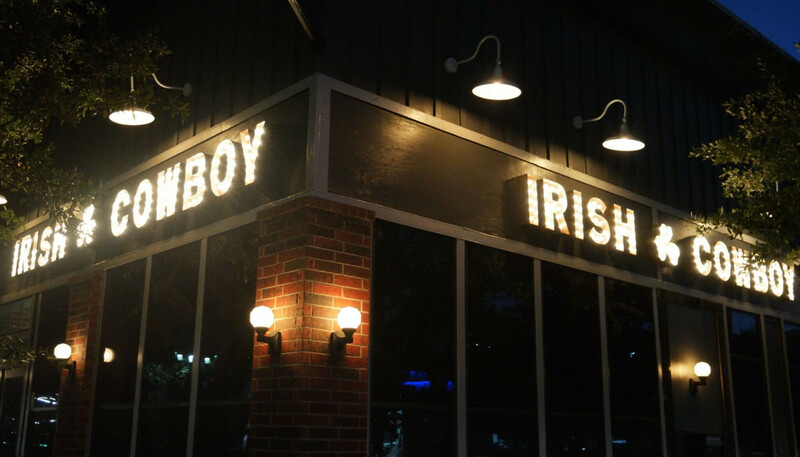 Midtown patio bar Irish Cowboy has poured its last pint. Originally opened in 2016 as a replacement for Celtic Gardens, the bar closed on January 1. Tina Bammel, director of operations for the Salt ‘N Pepper Group (Beer Market Co, Pub Fiction, The Moonshiners, etc), tells CultureMap that the company is working on a new concept for the space. French restaurant and boutique hotel La Colombe d’Or will be closed for all of 2019 while construction of a new, 34-story, 285-unit tower takes place. The Residences at La Colombe d’Or is a joint venture between owner Steve Zimmerman and his family, real estate development firm Hines, and TIAA Global Asset Management. It is expected to open in 2020. Tex-Mex favorite El Tiempo Cantina has opened its eight location in Oak Forest at 12440 Northwest Fwy. The Chronicle reports that a ninth outpost will claim the former Texas Land & Cattle space in Stafford. The original Third Ward location of Frenchy’s Chicken has closed to make way for an expansion of Wheeler Avenue Baptist Church. Until a new flagship store opens later this year, fans of the crispy, spicy fried chicken can satisfy their cravings at a temporary location at 4646 Scott St. The Heights has lost one of its better crawfish options. Mels’ Seafood Shack has served its last mudbugs, according to The Leader. Despite achieving some success, owner Melinda Faust says that she and her sister Melissa couldn’t quite make the jump from part-time food truck to full time restaurant. German-inspired bar and restaurant Stuttgarden Tavern has closed its Heights-area location after just over a year in business. The Galveston-based concept’s three other locations remain open. The Avenida Houston location of McAlister’s Deli has closed. Houston First is already looking for a new tenant for the space. A representative also confirms that plans are moving forward to replace the shuttered Bud’s Pitmaster BBQ with a new restaurant. Peli Peli Kitchen has switched things up a bit. Under the direction of new chef-partner Ryan Stewart, the fast casual restaurant now focuses on peri peri chicken, the spicy roasted bird that’s a staple of South African cuisine. Stewart, who immigrated to America from South Africa in 2018, has extensive experience in owning and operating restaurants that serve peri peri dishes. La Vista 101 has rolled out a new menu centered on the Italian-inspired dishes served at its original location. After a high-profile opening and the quick departure of chef J.D. Woodward and general manager Jeb Stuart, owner Greg Gordon has resumed serving the food that made the restaurant’s original Briargrove location a neighborhood staple for 20 years. Steak 48 transformed its outdoor patio in a 60-seat private dining room that features a full-service bar and a custom U-shaped banquette. Local firm Construction Concepts executed the project without closing the restaurant. Finally, Agricole Hospitality has made a couple of small changes. First, Eight Row Flint has introduced lunch service beginning at 11 am daily. Additionally, Night Heron, the company’s Montrose bar, now serves Coltivare’s signature black pepper spaghetti on Wednesdays. Get a bowl and a glass of wine for only $15.